The underlying theme of this new edition is that the poem is a Christian hero. As imagined by the poet Turoldus--writing about 1100, at the time of the First Crusade--Roland, the nephew of Charlemagne, had no faults and accomplished mighty deeds in warring against the Saracens. 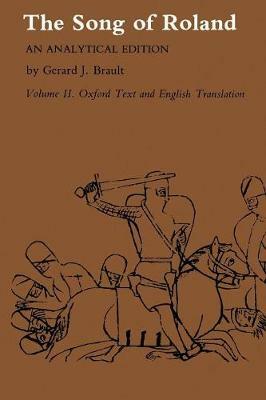 The introduction compares the known historical facts about the Battle of Roncevaux with the Roland legend, with various versions of the poem, and with the Oxford text. Christian thought and sensibility are shown to permeate the Chanson de Roland, in its character portrayal and narrative development, as well as in its tone and diction--and to provide its thematic unity and metaphorical consistency. Influences of the oral tradition of the chansons de geste are demonstrated, as are evidences of the accompanying gestures used by the jongleurs in interpreting these works.